We host interactive events that allow the influencer community to interact with and learn more about a sponsored brand. Media events are known to drive a tremendous amount of social media exposure within a short time frame and have been proven to create a huge hype for a brand’s digital presence. Although the Irose Social team specializes in organizing intimate blogger brunches, we have also thrown a variety of themed events that feature fitness, lifestyle, charity, and more. 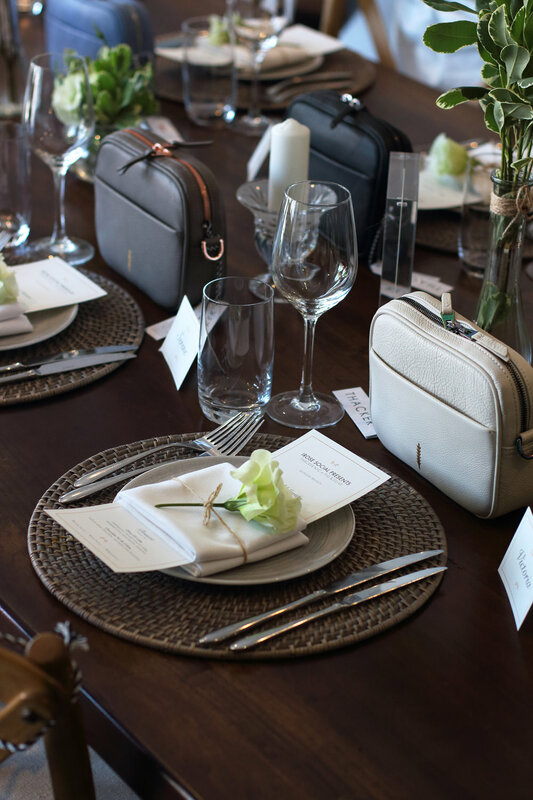 We introduce fashion/lifestyle bloggers, content creators, and influencers to prestigious companies over an intimate and aesthetic dining experience. The Irose Social team takes care of all of the event planning responsibilities from start to finish - this includes customized menus/flyers/invitations, a professionally designed tablescape, targeted influencer outreach, and event photography. All we need to receive from the brand are products to utilize as display decor and additional items to gift our influencer attendees.